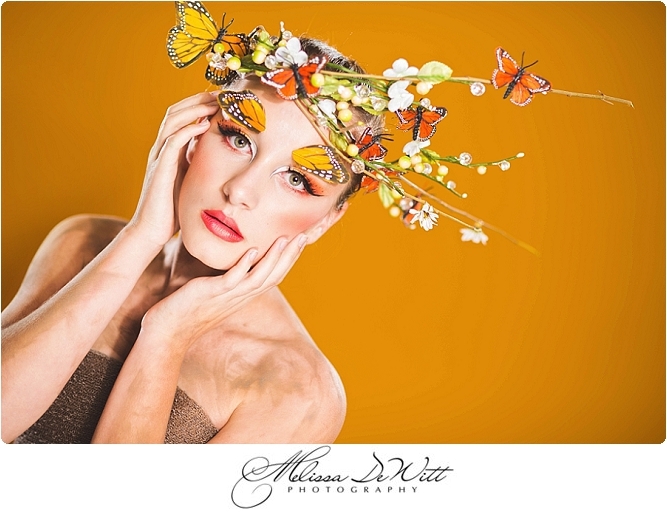 I have always adored high fashion images. After I purchased my studio lights about 6 months ago I began to dabble in how to use different lighting techniques with my art. I attended a workshop in Detroit to learn about different techniques, taught by one of my favorite fashion photographers, Lindsay Adler. Since then, I have been extremely motivated to create my own Fashion Shoot and pushed myself to execute what was in my imagination. My make up artist and I decided we wanted bright. 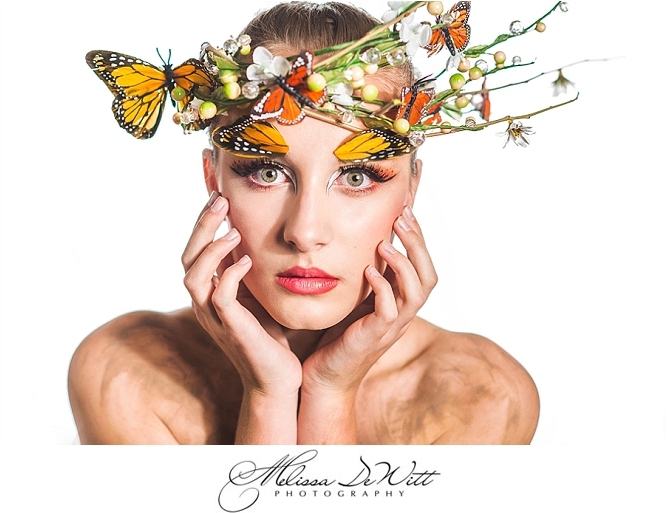 I had left over butterflies from a previous conceptual shoot so I decided to throw together a head piece with leftover material. The model hunt went down and we decided to have 11 year old Madi be our model. Yes, 11. This young girl is beautiful, inside and out. She was amazing in front of the camera and if she pursues modeling, I see a bright future for her. 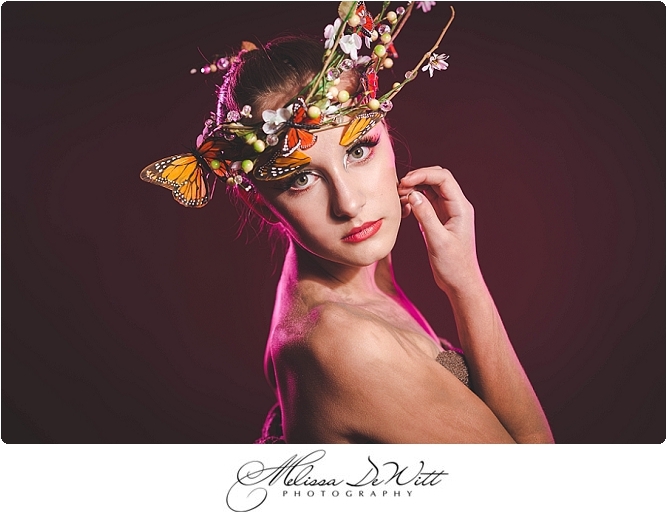 Madi looked gorgeous as a butterfly and Ellie, as always, was able to make my vision come alive with the make up. 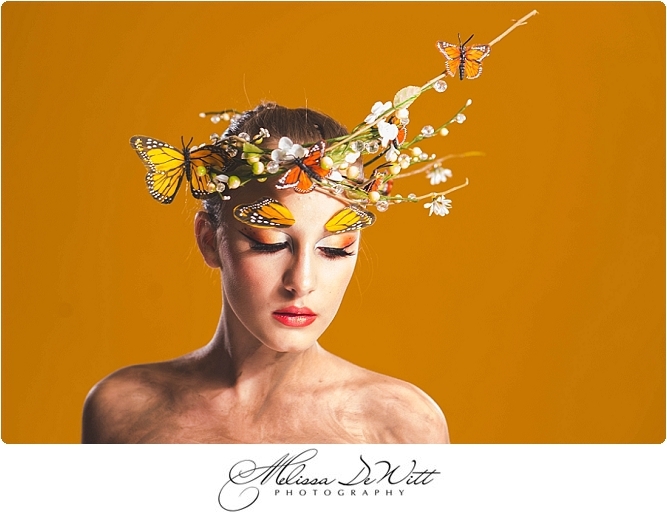 Here are some images of our Butterfly Fairy - High Fashion Shoot, enjoy. PS: December 21st from 3-7pm is the next SHOOT AND MINGLE! We will be going over studio lighting, a model will be provided, and Ellie will be teaching about make up artistry while she applies make up to our model. Fee: $125 and only 6 spots available.